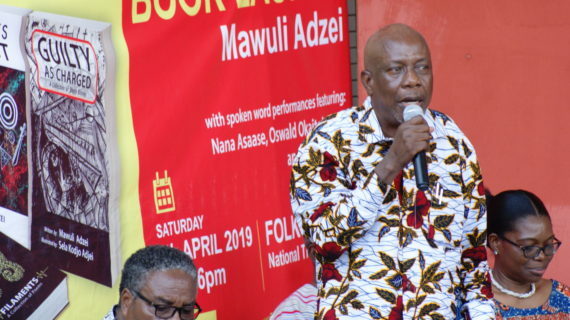 Three books comprising novels and a collection of poems by Ghanaian academic Dr. Mawuli Adzei were over the weekend launched with a remarkable ceremony at the National Theatre in Accra. 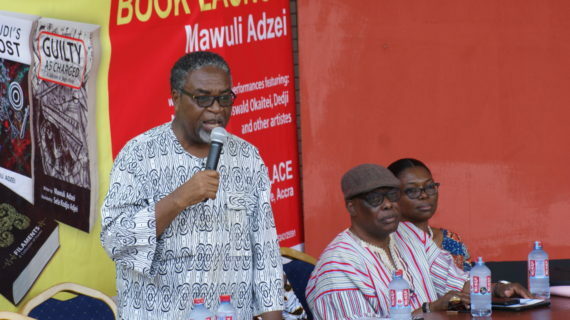 “Bakudi’s Ghost”, “Guilty as Charged” and “Filaments”, vividly portray Dr. Adzei as a prolific writer whose narrative power, plots, scenes and tales are virtual page- turners. 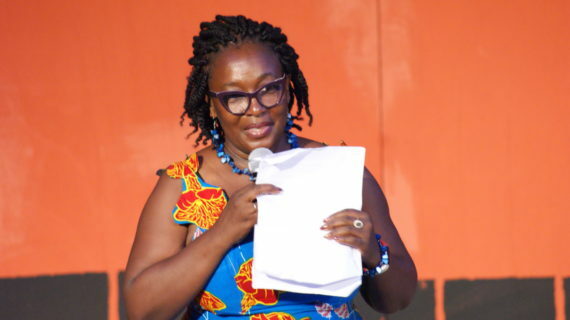 Indeed, they are stunningly confident books with a fresh take on diverse issues that regularly confront us. 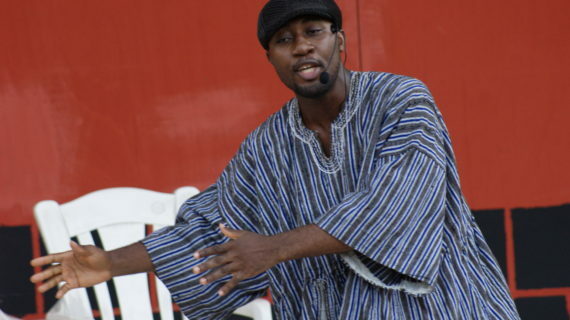 “Filaments”, which is a compilation of his reflections through poetry, reveal his mastery of interlacing diverse topics into poetry for intellectuals while easily serving as material for spoken, theatre, music and dance. 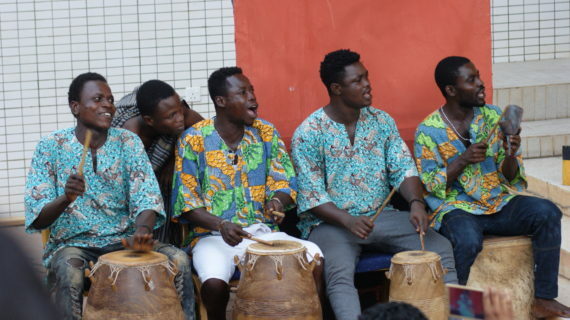 Undeniably, the ability of his poems taking on drama, music and dance was demonstrated by short performances directed by Oswald Okaitei, who effectively conceptualized stringed poems by Adzei into creative and brilliant acts drawing cheers from the audience. 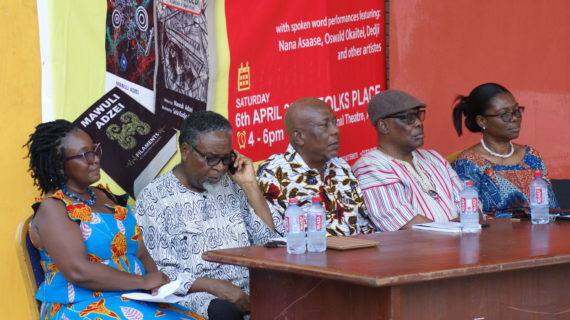 Reviews by Dr. Osei Bonsu (Guilty as Charged), Dr. Kwame Osei Poku (Bakudi’s Ghost) and Dr. Kwabena Opoku Agyemang (Filaments) – all from the Department of English, University of Ghana (Legon), provided fresh insights into the quality of Dr. Adzei’s writing while reminding us of his reputation as a skillful writer. 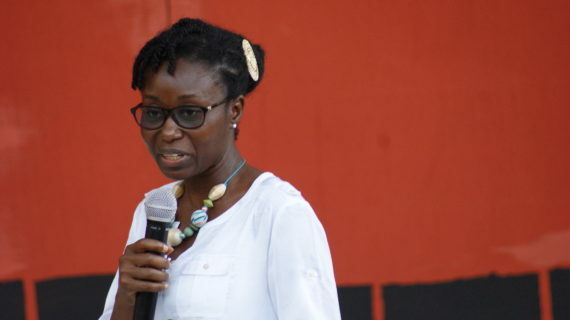 Dr. Adzei has taught creative writing, oral literature, popular genres, postcolonial literature and other courses at the Department of English, University of Ghana. 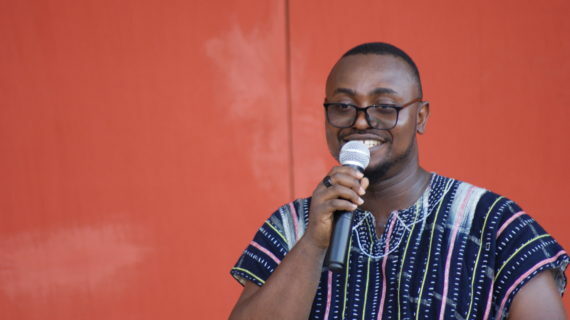 He is also the author of “Taboo” (fiction 2012), “Testament of Seasons” (poetry 2013) and “The Jewel of Kabibi” (fiction 2014). 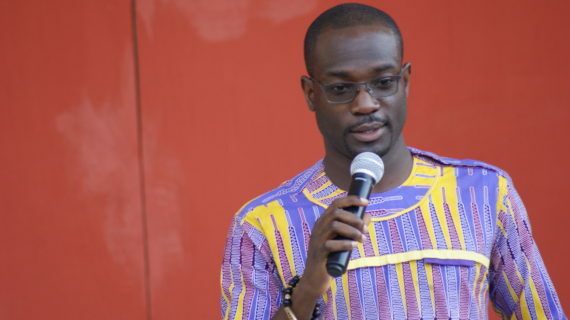 He has been a resource person in creating writing for the Ghana Writers Association, Mbaasem Foundation and the Ghana Institute of Journalism. 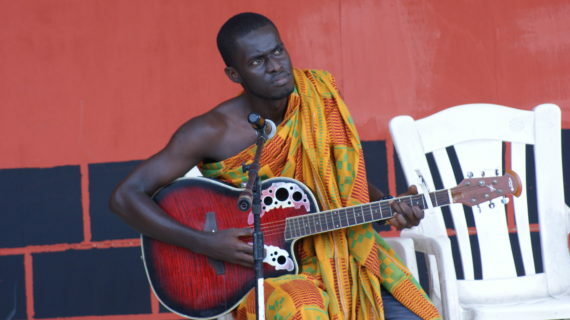 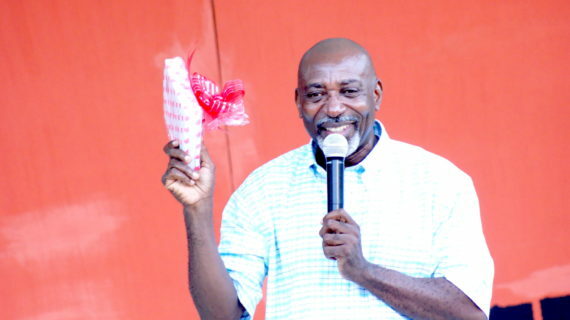 Selections of his poetry have been performed at the Babishai Literary Festival (Uganda), Story Moja Festival (Kenya), Programme de la RICEP (Togo), Walk The Talk (Ghana) and World Poetry Day (Norway). 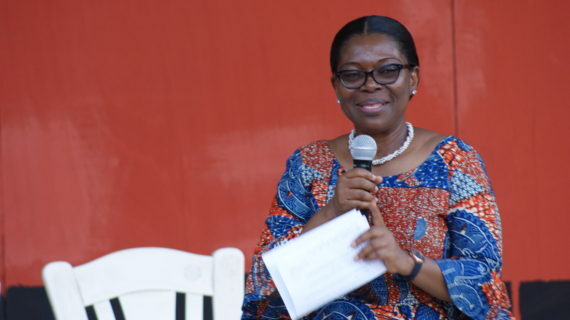 Present at the ceremony include Prof. Kofi Anyidoho (University of Ghana), Nana Kwasi Gyan-Appenteng (Ghana Association of Writers), Dr. Martin Egblewobe (Writers Project of Ghana), Amy Frimpong (National Theatre of Ghana) and Ernestina Lartey Asinura (Ghana Book Development Council), who launched the book.